Panarosas™ perform according to our set parameters of growing between 2m to 3m high and as wide with flowers on every cane. They should be free standing informal shrubs and groups, hedges or specimen plants, and should provide a panorama of roses to the onlooker/spectator. 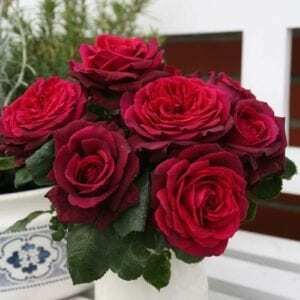 These roses can be planted on fences, at the periphery of a property or as a group in large lawns. By training them up pillars and even over arches and pergolas, a neatness and floriferousness superior to that with traditional climbing roses can be achieved.